Check below the description of each tool to see if they are available for your device. Some tools are available on both the web and in an app. All apps described are free unless indicated. New additions will be added as I discover them so keep checking in!! Adobe Spark Page--Create an interactive story that allows you to embed photos, text, links and photo collages. Add your own photos or choose from thousands of fair use photos to tell your story. Viewers will scroll through your page to see the content you've added. Adobe Spark Post--Create a social media post. Adobe will make sure your post is the exact size of the social media platform that you want to use. It's also great for memes, inspirational quotes, invitations, political posters and more. Haiku Deck--An extremely easy-to-use tool to create strikingly elegant slide shows. You can choose from a number of designs. Each slide is easy to edit. Together, they will tell your story. You can even various graphs within your presentation. Easy sharing. 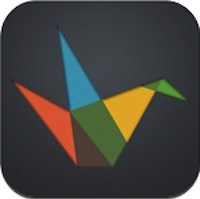 Tellagami--Tellagami is a mobile app that lets you create and share a quick animated Gami video. You can use their stock backgrounds or upload a picture. You can also edit the character telling your story and decide to either use your voice or type in text and let the avatar speak for you. Gamis are limited to 30 seconds but you can upload multiple Gamis to YouTube or iMovie to create longer movies. Prezi--Prezi is cloud-based, meaning you can present from your browser, desktop, iPad, or iPhone and always have the latest version of your work at your fingertips. Create or edit on the go, then auto-sync across all your devices with ease. Prezi lets students collaborate simultaneously. The platform is incredibly dynamic and allows for a fluidity of movement between slides. Keynote--Keynote is Apple's version of Powerpoint or Google Slides. The animations are striking and the number of options available to the user is immense. One caveat is that this product, since it is only available on Apple products, might give the presenter some trouble. Make sure you can connect your Apple device to the projector or you may be in for trouble. Animoto--Animoto is a great way to make short creative videos telling your story. You need to be extremely concise when making your videos because they cannot go over 30 seconds. Add pictures and text to Animoto's already crisp and creative templates. Choose one of the songs offered on Animoto or upload on from your computer or device. Animoto is great for creating short PSAs or commercials that explain a historical topic! 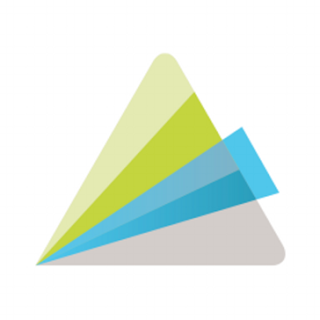 NOTE: Animoto is only free for educators, NOT free for students! iMovie--By far, the best and easiest to use movie creator on the market. This tool allows for easy editing and uploading movies. The program is incredibly intuitive and allows the user to make professional quality videos. iMovie also makes it really easy to share on YouTube or in other ways. NOTE: As with Keynote, iMovie will not automatically play on Windows computers. 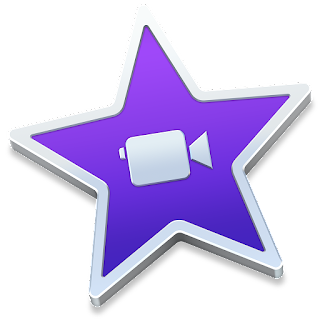 If you would like to share a video you created on iMovie, you must upload it to YouTube. 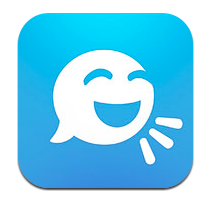 Snapguide--Snapguide allows users to create beautiful how-to guides. Although this app is designed for creating traditional DIY tutorials, it can also be used to describe historical figures, topics, and events. Add your own ingredients/supplies to make your "recipe" awesome. How about a Snapguide about how women go the right to vote in the United States? What about a Snapguide detailing how the 18th Amendment was overturned? Piktochart’s intuitive interface allows you to easily turn your digital content into an interactive infographic without having to learn complicated software. Free users (signup required) get access to pre-designed layout and color themes, which can be edited with built in icons, your own images, text, and color choices. Your finished Piktochart can be shared via a URL or download as an image. and even videos. Download your finished infographic as an image or a pdf file or share the link. easel.ly--This free web-based infographic tool offers you a dozen free templates to start you off, which are easily customisable. You get access to a library of things like arrows, shapes and connector lines, and you can customize the text with range of fonts, colours, text styles and sizes. The tool also lets you upload your graphics and position them with one touch. Timeline (by Read Write Think)--Allows you to create timelines that include images.